New Delhi : The Export Promotion Council for Handicrafts (EPCH) is the nodal agency for the promotion and development of handicrafts exports from India to various destinations of the world. The Council with the support of Embassy of India in Denmark and office of Development Commissioner (Handicrafts) had organized a Buyer-Seller Meet from 19-20 November, 2018 in Copenhagen, Denmark, informed Rakesh Kumar, Executive Director-EPCH. The Buyer-Seller-Meet was inaugurated on 19th November’18 by H.E. Ajit Gupte, Ambassador of India in Denmark along with and O.P.Prahladka, Chairman-EPCH and Rakesh Kumar, Executive Director-EPCH. 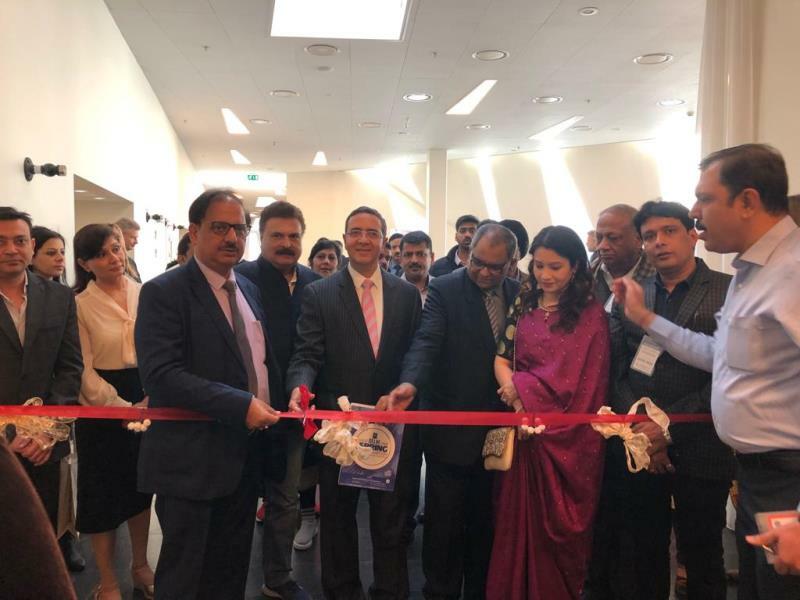 Kumar further said that the Buyer Seller Meet in the Scandinavian Region has been a successful event being organized by the Council in Copenhagen, Denmark. 26 Indian exporters are participating in this BSM and displaying a wide range of Indian Handicrafts, Home Furnishings, Floorings & Textiles, Indian Houseware & Decoratives, Fashion Accessories Shawls, Scarves, Bags, Fashion Garments and Christmas Décor from PAN India basis. The Buyer Seller Meet is a B2B exhibition for order booking for future sourcing of foreign buyers in Denmark. The objective of organizing this Buyer-Seller Meet is match making of Indian companies with the Scandinavian companies interested in sourcing Indian Handicrafts, Home Furnishings, Floorings & Textiles, Indian Houseware & Decoratives, Fashion Accessories Shawls, Scarves, Bags, Fashion Garments and Christmas Décor, Gifts, Lifestyle products for the Scandinavian market thereby creating a ‘Brand Image” of Indian Handicrafts amongst Scandinavian buyers. -friendly products and design development in Indian handicrafts export sector. The main exports markets for Indian handicrafts are USA followed by EU, Middle East and Far East. However, Scandinavian countries are emerging as a new potential destination for exports of Handicrafts. Indian Craftsmanship, Ethnic Designs and colours are unique and have no comparison with products from other countries. The range produced in India is very large and wide and the quality and price structure varies from high-end market to middle end market. The Executive Director further elaborated that the Scandinavian countries are the potential markets for the Indian handicrafts. The exports of handicrafts from India are at US$ million 3573.49 in 2017-2018. The exports of India handicrafts to Denmark was of USD 26.50 million during the 2016-17 which increased to USD 28.94 million during 2017-18 registering a growth of 9.19%. EPCH ED Rakesh Kumar hoped that with the overwhelming response and buyers turn out at Buyer-seller-meet will further lead to a growth in Indo-Danish Trade relations in the year ahead. आई. टी. एस. मोहन नगर, यू. जी. कैंपस में आयोजित तीन दिवसीय “इंटर-स्कूल स्पोर्ट्स मीट – 2018” में प्रतिभागियों ने किया बेहतरीन प्रदर्शन!